The dental industry is moving forward at a fast pace. Over the years, Elos Medtech has developed a strong global dental offer. Our long-term dedicated focus has been very successful and created new customer inquiries. To meet these inquiries, we have appointed Soren Olesen as our Dental Business Director at Elos Medtech. Taking on the role, he will lead our new global dental strategy. I met with him to discuss the next step on the dental market and what the future might hold for Elos Medtech. Hi, Soren! Tell me about your role as Dental Business Director and the new dental strategy. How will you combine your contract manufacturing offer with your dental product portfolio? My role as Dental Business Director is to create a global dental strategy to meet our business goals and provide our customers a comprehensive range of services and products that we can offer the dental implant market now and in the future. The platform for our dental strategy is our capability of combining development and manufacturing as well as our specialized expertise in innovative digital dentistry products and instruments. We will continue to collaborate with our present customers, providing dental implant companies with dental products, but also increase our collaboration with technical partners, providing them with services for enabling a seamless digital workflow. Our technical partners include CAD, CAM, printing, and scanner companies. Our new strategy mainly derives from the growing interest among dental companies to collaborate with a strategic development and production partner as well as being at the forefront of digital dentistry. This requires an innovation speed and resources that some companies are not capable of investing in. This is where Elos Medtech comes in. We will function as a bridge between dental implant companies and technical partners using our Digital Dentistry products and Elos Open Digital Solution as their way to create more business and move forward. With our new dental strategy, we want to set the standards for digital dentistry and create the optimal digital workflow. There seems to be a great interest in digital dentistry in general and Elos Accurate in particular. Why is that? Change toward digitalization is a global trend affecting our society including the dental industry. More dental professionals are moving away from traditional techniques and towards digital equipment such as intra-oral and lab scanners, CAD/CAM software, and 3D printers. The increased interest in Elos Accurate; our own-developed digital dentistry solution, is without a doubt based on our vision of partnership. We strongly believe collaboration creates value for everyone involved. Keeping a close dialogue with our partners based on mutual trust and maintaining a high level of competence has led to a product portfolio with the right focus – innovative prosthetic and lab products including a library for an open digital workflow. 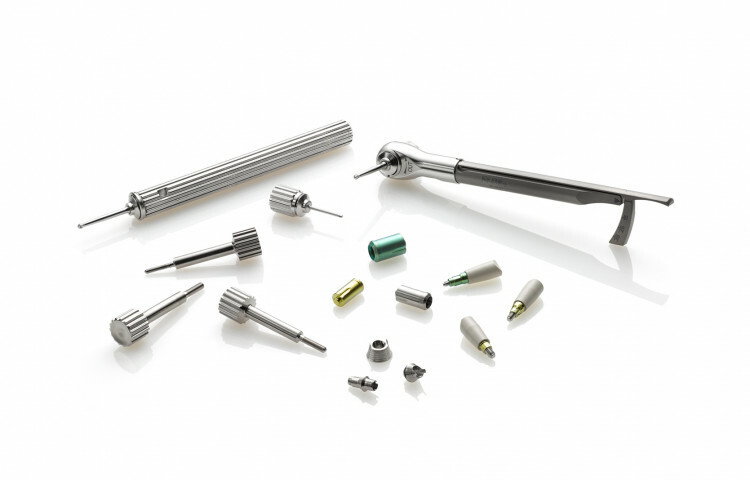 Elos Medtech has had a strong growth in the dental implant business segment. Why? Since 2014, we have had a double-digit growth. Based on our extensive knowledge and specialization, we have managed to meet the market’s need for a trusted strategic partner in the development and production of dental implant products in an ever-increasing regulatory environment. These are the reasons for our long-term sustainable growth. Many companies are starting to acknowledge the need for innovation from an outside partner. While many traditional contract manufacturing companies compete in efficiency and LEAN manufacturing, Elos Medtech benchmarks against our own customers on how to create value and competitive advantages to move forward. We have the competence to match our customers’ in-house resources for developing and producing dental implant products. Creating value for our customers based on a high level of in-depth understanding of digital dentistry, quality excellence and design for manufacturing makes us best in class. What are the advantages of the new dental strategy for your customers? As collaboration partner, our customers will get direct access to our vast experience and extensive knowledge in product design and development, engineering, manufacturing, delivery as well as product application, CAD/CAM and library software. By our digital product portfolio, dental implant companies will benefit from an injected market position by successful market launches of integrated solutions and premium products for dental professionals, expanding their product portfolio and reducing time to market. The technical partners such as CAD, CAM and scanner companies will benefit from the increased market penetration provided by our open digital workflow and Elos Accurate. Using Elos Open Digital Solution, dental professionals will achieve a seamless workflow regardless of technique. This allows them to make all the choices they need to carry out their work in the best way possible. They can choose from all the major lab scanners as well as CAD/CAM software, upload Elos Accurate libraries for free, and mill restorations in-house or off-site. Our new dental strategy allows more dental players to utilize the advantages of digital dentistry and an open digital workflow. We simplify for both dental implant companies and technical partners as well as dental professionals. Tell me about the investments you have made over the past few years? We strongly believe that value is created from not only from production efficiency. In addition to our Automated Factory and robotics, we have invested heavily in human capital; competencies, capabilities, research, and knowledge to further develop our dental products and services. This is what differentiates us from traditional contract manufacturing companies where investments are mainly focused on machines and other production equipment. To provide state-of-the-art digital solutions we need to have specialist knowledge. 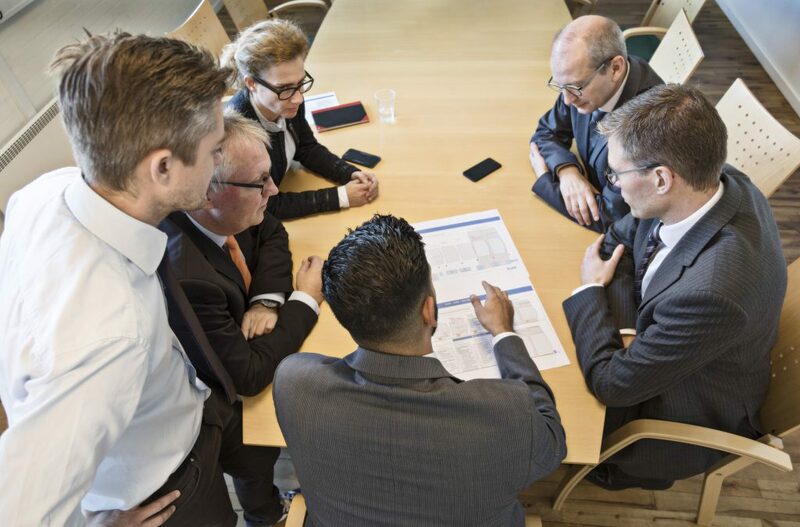 The power of the Elos Medtech group is that we have the ability to develop competencies for innovative dental products and world-class quality systems as well as collaborate closely across our specialized areas. How will you take the next step in the US market with your dental products? Representing about 35 percent of the total global dental implant market, we need to be directly present with our offering in the US market with sales representatives and shipping ability. We are now in the process of creating a full Product Concept For The US Market. Taking this next step into the US market is an important milestone for us as it confirms our dental focus and will serve as a platform for further investments. What is the outlook for 2019 for Elos Medtech’s dental business segment? The outlook for 2019 and the coming years is positive. The market is shifting from being surgeon driven to becoming prosthetics driven. This is a trend that Elos Medtech picked up a long time ago and also the reason we are at the forefront of digital dentistry today. Being part of the very niche business of contract manufacturing for more than 25 years and increasing our focus in digital dentistry for the past few years, maintaining an independent role and building a high level of competence, we strongly believe that we have earned our position on the market as a trusted partner. Thank you, Soren, for sharing your knowledge and information. We look forward to seeing what the future might hold for Elos Medtech and the dental industry! Would you like to know more about Elos Accurate and Elos Open Digital Solution? Visit our website for dental professionals. For more information on our development and manufacturing offer, please visit elosmedtech.com.